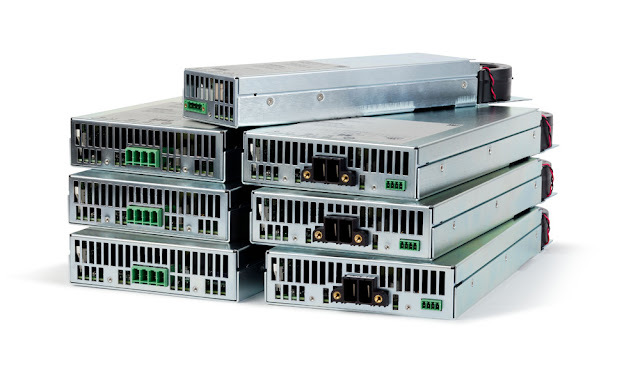 Agilent Technologies Inc. (NYSE: A) has introduced seven high-power modules for its popular N6700 modular power system. The new modules expand the ability of test-system integrators and R&D engineers to deliver multiple channels of high power (up to 500 watts) to devices under test. With the addition of the new modules, engineers and integrators can now choose from a total of 34 modules for the N6700 MPS. This breadth of choices gives engineers and integrators in the aerospace/defense, consumer electronics, computers and peripherals, communications, semiconductor, and automotive industries the flexibility to optimize performance, power and price to meet test needs. "Our customers appreciate the mix-and-match design of the Agilent N6700 MPS for both ATE and R&D applications," said Gary Whitman, vice president of Agilent's System Products Division. "But some customers need power supplies with higher power than we previously offered. With these new modules, we continue to expand the MPS platform to meet our customers' needs." The new modules, together with the 27 modules already offered, comprise a family ranging in power from 18 W to 500 W at four different performance levels: basic, high performance, precision, and source/measure unit. R&D engineers and test-system integrators can mix and match any of these 34 modules in any of the four MPS mainframes (three for automated test and one for R&D ) to create a DC power system unique to their needs. Systems can be from one to four outputs, at prices starting at $1,000 per output. Fast output changes (0 to 50 V in less than 2 ms) that are up to 50 times faster than other programmable power supplies. Advanced, fast digitized measurements that extend from milliamps to 50 amps. Autoranging output capabilities that enable one power supply to do the job of several traditional power supplies. High-speed test extensions that offer an oscilloscope-like digitizer that simplifies system configuration and increases measurement accuracy. With a single command, the ability to switch the output from a positive voltage to a negative voltage without changing wiring due to optional built-in polarity reversal relays. All of the Agilent N6700 mainframes are fully compliant with the LXI Class C specification. They have USB 2.0, 10/100 Base-T Ethernet and GPIB interfaces as standard features, allowing quick and simple connectivity to a PC or a network. They can also be remotely operated from any Web browser. Additional information about the Agilent N6700 MPS and the company's complete line of DC power supplies is available at www.agilent.com/find/N6700. For high-resolution product images, go to www.agilent.com/find/N6700_images.